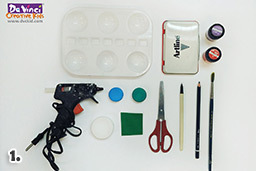 You will need a pencil, scissors, ballpoint pen, recycled bottle caps, hot glue gun, craft foam, paint, paintbrush, palette and a ink stamp pad. 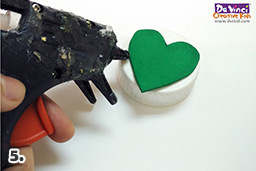 Hot glue the heart onto a bottle cap. 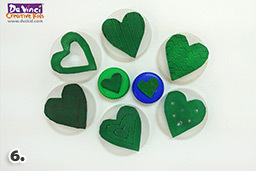 This will be our foam stamp. 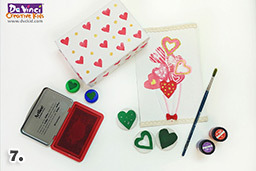 You can use paint or ink from the stamp pad to create a Valentines card or DIY wrapping paper. The possibilities are endless! 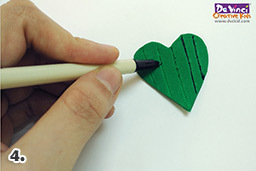 Draw a heart shape on craft foam. 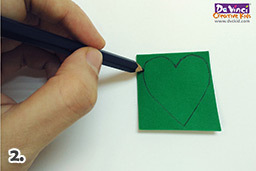 You can use a ballpoint pen to create patterns on the heart shape. 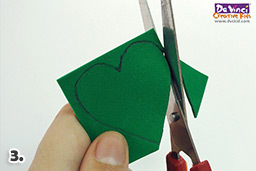 You can try different patterns and sizes with the heart shape.